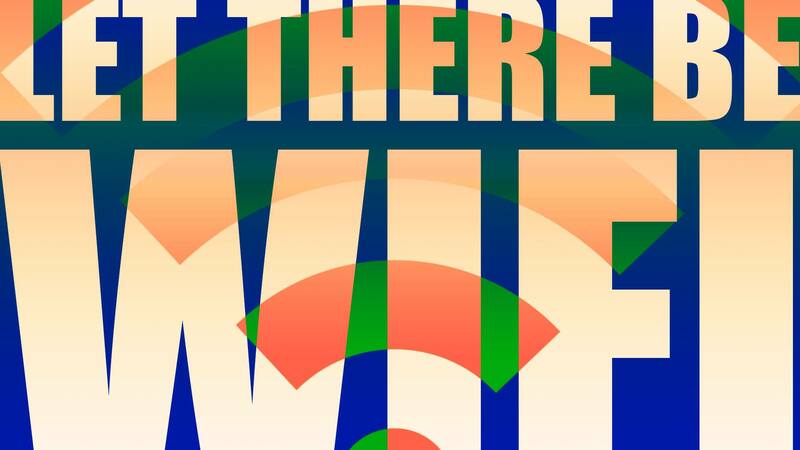 “Let there be WiFi” is a collective exhibition on how we perceive, perform and construct sound and culture in the post-Internet era. From the digitalization of radio to the Internet of Sound, sound has transformed into a screen based medium, introducing a new materiality, visibility, mobility, and interactivity. Freed from physical boundaries and institutions, this transformation allows for a new sonic landscape to emerge. In the context of post-Internet art, how do these developments influence sound art? How are these characteristics interpreted? How do we navigate, use and reflect on this new sounding space? Considering the Internet as more than a medium specific practice, the artists explore the socio-cultural effects and artistic possibilities of abolishing the delineations between online and offline space, and the ubiquity of the Internet. The exhibition is organized by students from the Department of Sound Studies and Sonic Arts at the Universität der Künste Berlin, under the supervision of Daisuke Ishida. This also serves as the official opening of SoundsAbout, the project space of the department. Participating artists include Asil Alptekin, Jonathan Bruns, Nicolas Daleman, Eunice Fong, Kassiani Goulakou and Alejandro Mosso.